The Hermit Crab is a genus that has a wide variety of species. They typically remain fairly small in size. They use abandoned snail shells to protect their soft abdomens. Body coloration varies between different species ranging from red, to orange and blue. Hermit Crabs are active animals and will spend the majority of their time scavenging for food. Tehy eat filamentous algae and cyanobacteria. If their main food supply is depleated, the Hermit Crab will also eat polyps and other small animals it can find among the coral reef. They have a pair of pincers that are used to grab and manipulate food and serve as a defensive mechanism as well. Hermit Crabs can be found among the rocks of coral reefs within the Indo-Pacific ocean range. Some species are terrestrial. 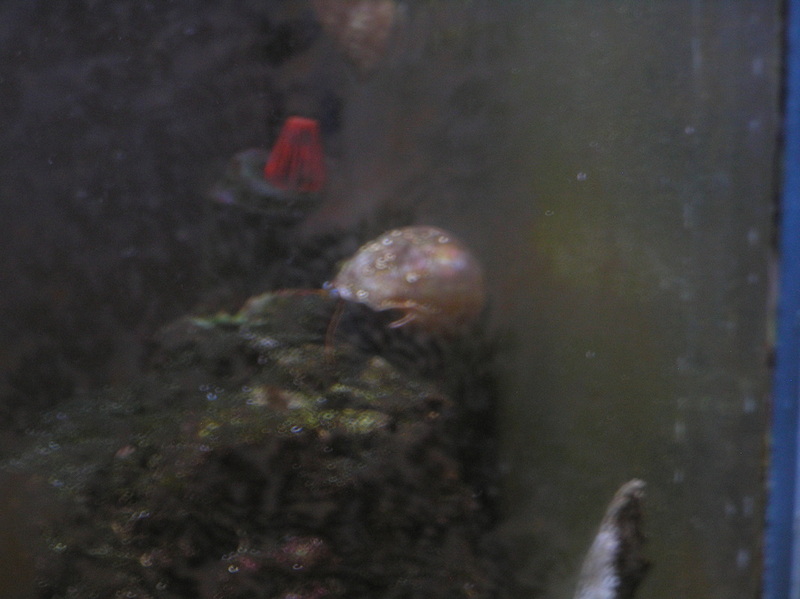 The Hermit Crab is used extensively in the marine aquarium trade as "cleaners" for the tank. "Anemone Hermit Crab". Blue Zoo Aquatics. Retrieved from: http://www.bluezooaquatics.com/productdetail.asp?did=2&pid=1115&cid=80.